Here at PROPAT LONDON Ltd we strive to help commercial and domestic clients ensure that the environment they work or live in contains safe and secure. Our goal is to provide a flexible and professional electrical service. PROPAT London Ltd. is a privately owned company with a large team of service technicians. 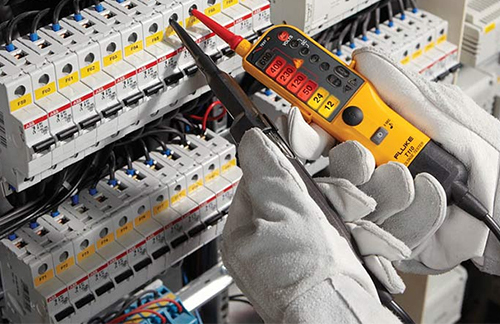 PROPAT London Ltd. is an electrical audit management company that identifies, tests and advises to meet all your Health & Safety requirements. PROPAT London Ltd. are specialists in the field of Portable Appliance Testing (PAT Testing) and provide a fast, reliable and professional service. PROPAT technicians are City & Guilds qualified. To give you the best possible service, we offer free estimates. Our PAT testers are polite, professional and friendly. More benefits of working with PROPAT. Show proof of identity by means of a company personal photo ID. Explain the tests to be carried out and answer any questions. Ensure that work is carried out with minimum disruption. Will not disrupt your electricity supply. Act in a professional manner at all times, refraining from smoking, inappropriate language or conversations hostile to others. Take care of customer’s property and possessions. Protect them at all times from equipment, tools, wiring, screws, etc. Keep safe all materials and equipment. Comply with health and safety legislation and relevant codes of practice. Our team of knowledgeable and trained staff have many years of industry experience and work hard to earn customer loyalty. We can cover your workplace obligations, certifying that your electrical equipment meets industry health and safety standards. Many insurance providers require their clients to meet these standards, which helps protect you against many forms of liability and can often reduce your premiums.